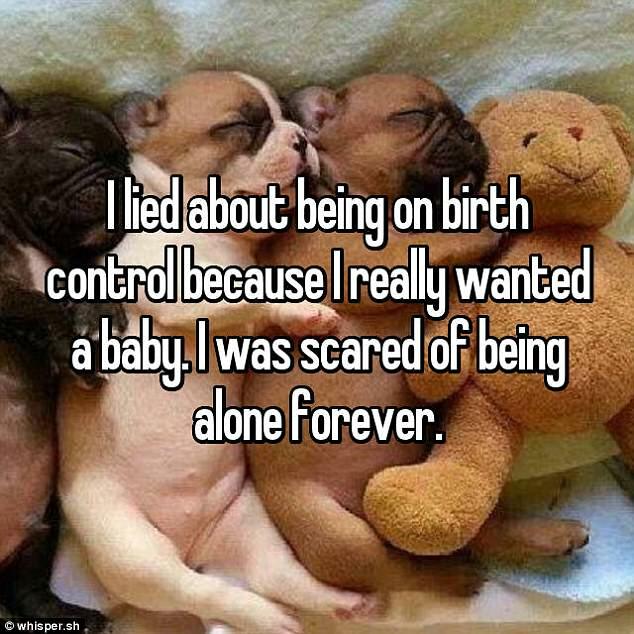 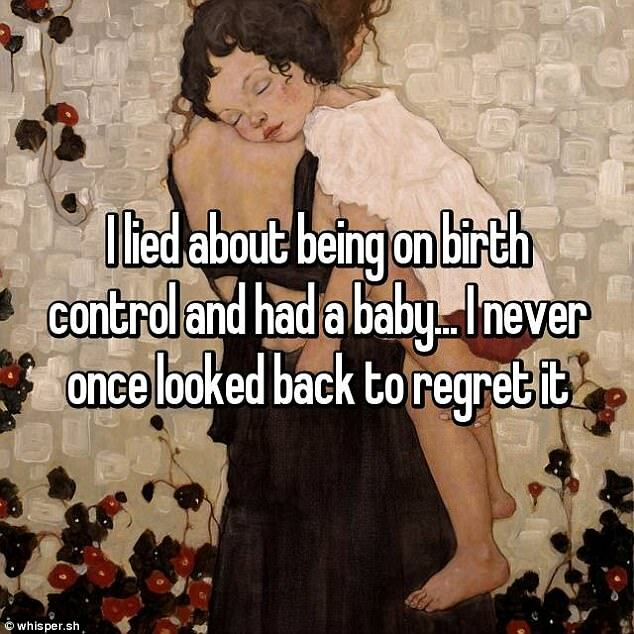 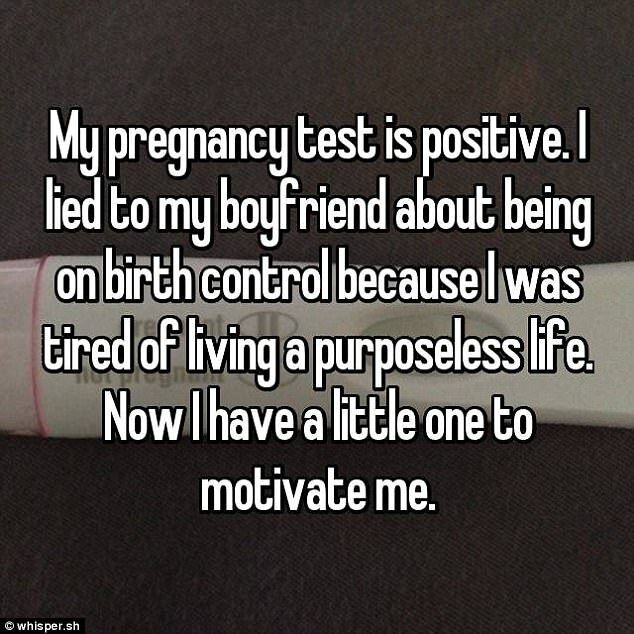 Women from around the world have revealed the reasons why they lied to their partners about being on birth control. 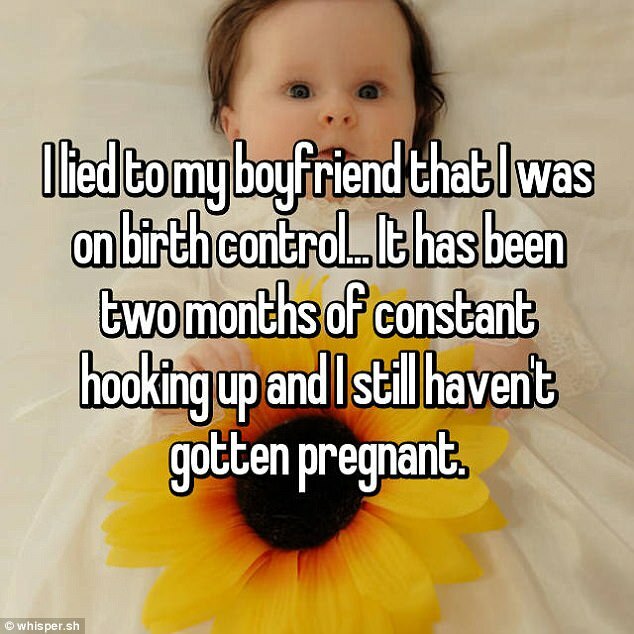 Dozens took to the anonymous confessions app Whisper to share their poignant, and occasionally startling personal stories. 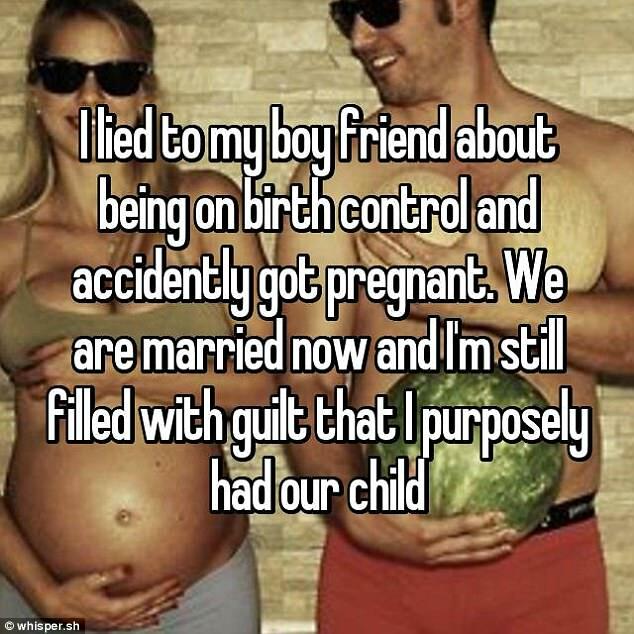 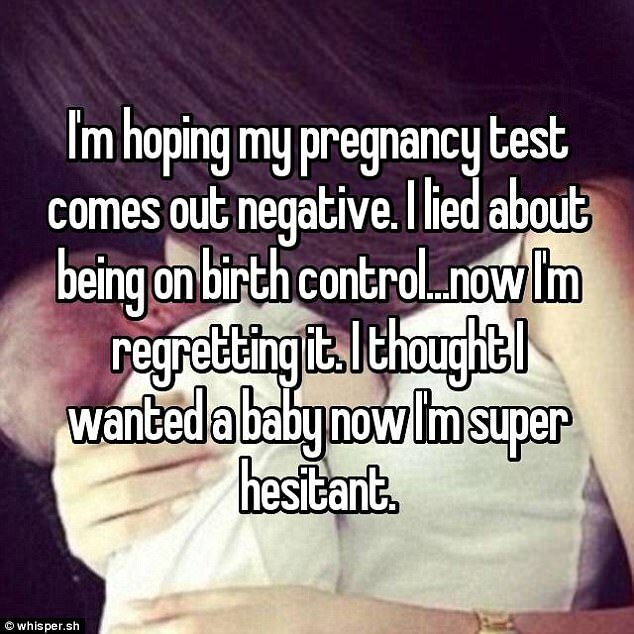 Many explained they were motivated by their desire to have a baby - even though their partner didn't feel the same. 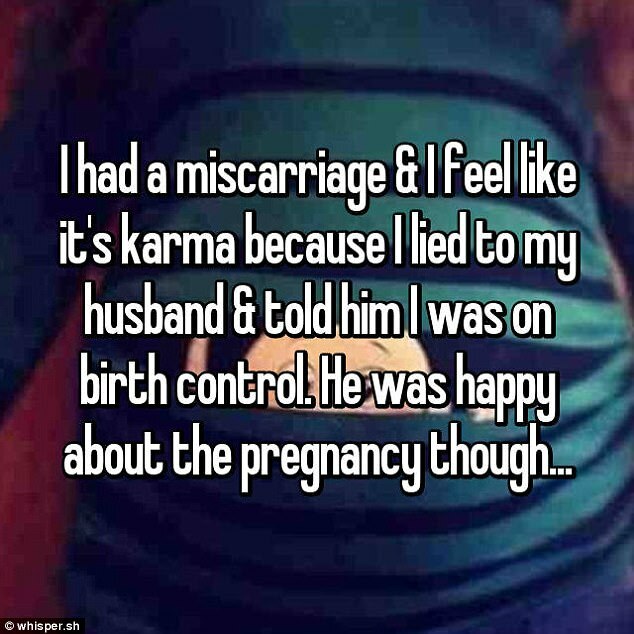 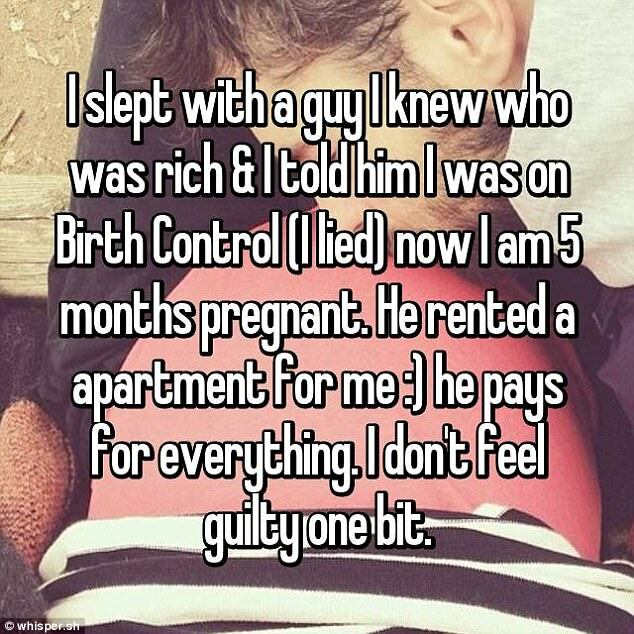 Among the most shocking revelations was one from a woman who confessed she didn't feel guilty after falling pregnant with a wealthy bachelor's baby, because he was now supporting her. 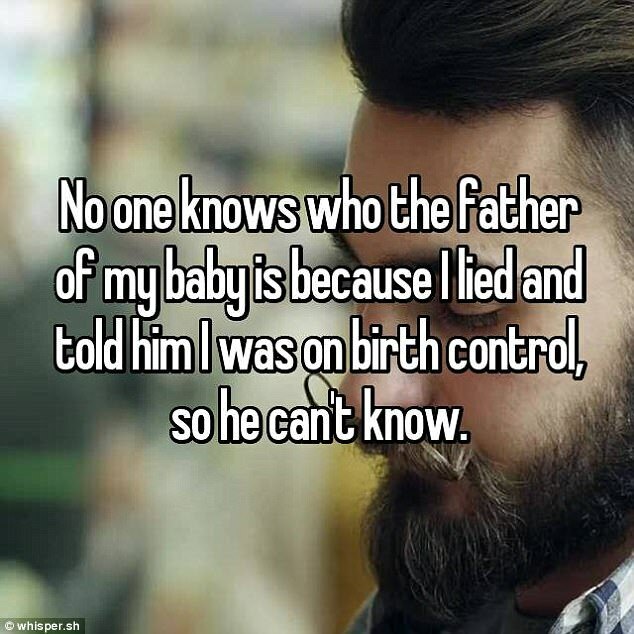 Another said she viewed child support as '18 years of easy money'. 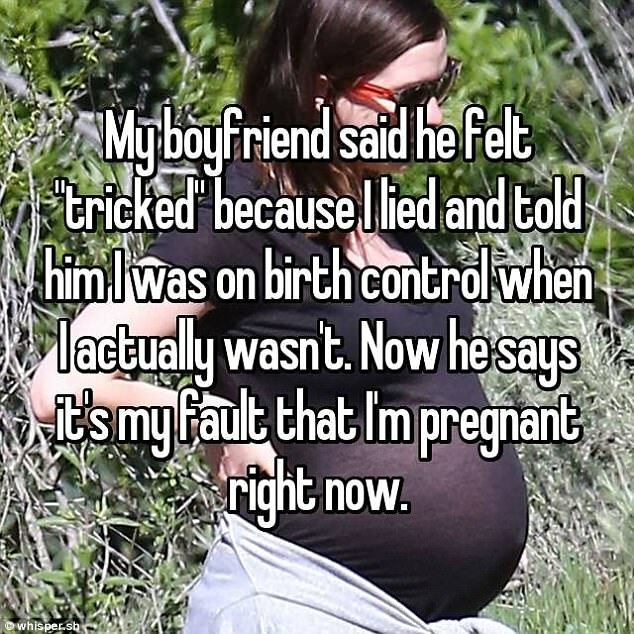 If this isn't a reason to get a vasectomy ASAP, what is? 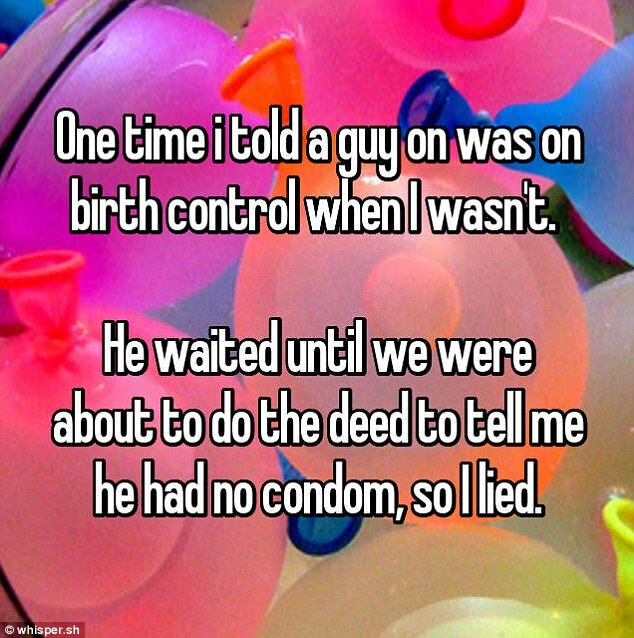 It's time for a male contraceptive that can be used DISCRETELY. 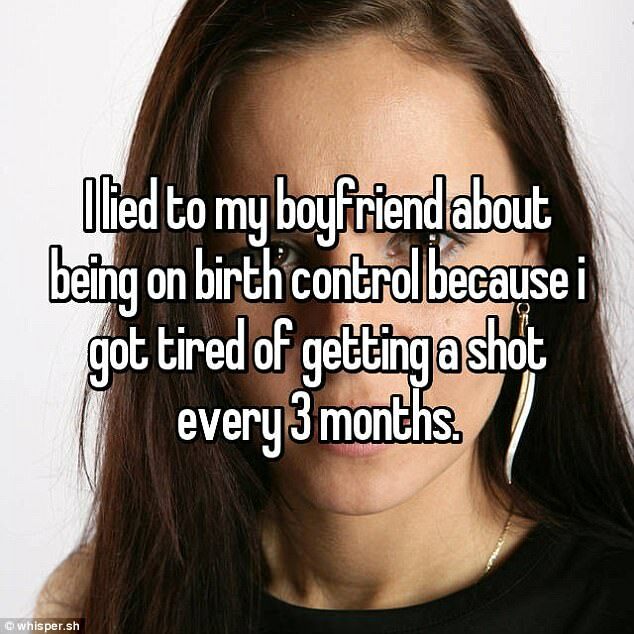 Two liars can play that game.